We all try to eat healthy and feed our families right. You may have heard a lot about antioxidants lately and that antioxidants are good for you. It may leave you wondering,”What are antioxidants and how are antioxidants beneficial to our health anyway?” Antioxidants are by definition a substance that inhibits oxidation. Antioxidants function as a natural defense system against free radicals. The question then becomes, what are free radicals? When we breath oxygen, it interacts with certain molecules in our bodies to create free radicals and these free radicals damage important cellular structures such as DNA and cell membranes. This damage may cause cells to function poorly and mutate. Free radical damage may lead to disease and aging. Every time you breathe, you take in free radical molecules created by cigarette smoke, radiation, and vehicle emissions. Every time you eat, you consume free radicals in the form of pesticides and preservatives. 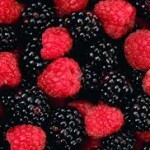 How Are Antioxidants Beneficial To Our Health? Antioxidants benefit us by helping to protecting us against free radicals in our environment. Our immune system creates antioxidants which are able to neutralize free radicals and prevent much cellular damage. We can also consume antioxidants in our diet in fruits, vegetables, nuts, grains, some meat, poultry and fish. I bet you may recognize these antioxidants: vitamin E, C and beta carotene. Others antioxidants include luetin, lycopene, magnesium, and zinc. There has been much talk about antioxidants preventing heart disease which is so deadly that it results in an average of 1 death every 34 seconds. The American Heart Association says, “Oxidation of low-density lipoprotein (LDL or “bad”) cholesterol is important in the development of fatty buildups in the arteries. This process, called atherosclerosis, can lead to heart attacks and strokes. Increasing evidence suggests that LDL cholesterol lipoprotein oxidation and its biological effects can be prevented by using antioxidants — both in the diet and in supplements.” In 1993, Harvard University researchers reported that supplemental doses of vitamin E actually reduced the risk of heart disease by as much as 54 percent! What effects can antioxidants have on the big “C” word? This is a question that all of us are dying to know since one American in every three living today will get cancer, and one in four will die from it. Selenium, an antioxidant mineral, can help protect against breast cancer. One expert, Dr. Gerhard Schrauzer of the University of California at San Diego, stated, “If every woman in America started taking selenium supplements or had a high-selenium diet, then within a few years the breast cancer rate in this country would drastically decline.” And according to a study by Dr. Larry Clark of the University of Arizona, 200 micrograms daily of selenium cut the rate of prostate cancer by 69% and lung cancer by 34%. Clearly antioxidants are important for all of us to strengthen and protect our immune systems and to help guard against disease. Antioxidants may even help us live longer. The theory is that if free radical damage causes aging, antioxidants in high enough quantities should be able to slow aging. This theory is advanced in one California study of people aged 50 or older, where it was found that those “… with a higher intake of vitamin C were found to have a total death rate only 40% of that for those with the lower intake of C … This decrease in the death rate corresponds to an increase by eleven years in the length of life.” Even small doses of vitamin C can help. According to one UCLA study, 300 milligrams of Vitamin C a day can add 6 years to a man’s life and two years to a woman’s life. Antioxidants are made naturally by your body but supplementation is needed from food or other sources . The highest concentrations of antioxidants are found in the most deeply or brightly colored fruits and vegetables such as spinach, red bell peppers, raspberries, carrots, apricots, pomegranates, and tomatoes. So now that you know what antioxidants are and how they can be beneficial to your health, you can feel extra good about chomping down some high antioxidant berries, pecans, or red kidney beans!